Heads up, indie rock fans!! Finishing up their tour supporting Ed Sheeran, the Snow Patrol are headed on a huge North American tour in support of their latest album “Wildness,” in 2019! It’s all happening at the Queen Elizabeth Theatre on Monday 13th May 2019 – tickets on sale NOW – get yours while you can! Comprised of singer and guitarist Gary Lightbody, guitarist Nathan Connolly, bassist Paul Wilson, drummer Jonny Quinn and keyboardist/guitarist and Johnny McDaid, Snow Patrol started out as an indie rock band, but gained game as part of the post-Britpop movement of the early 2000s. After two albums on an independent label, the band were signed by a major label and released their first major album, “Final Straw,” blasting the band to the forefront of the indie music scene. Their latest album, “Wildness,” was released to rave reviews from audiences and critics alike, with the lead single “Don’t Give In,” “We wanted to show people that things had moved on a little bit, quite a lot actually, as well as being a strong message and being a great song,” said Gary Lightbody about the single. The album shot up into the charts, hitting number two in the UK! What are you waiting for?? 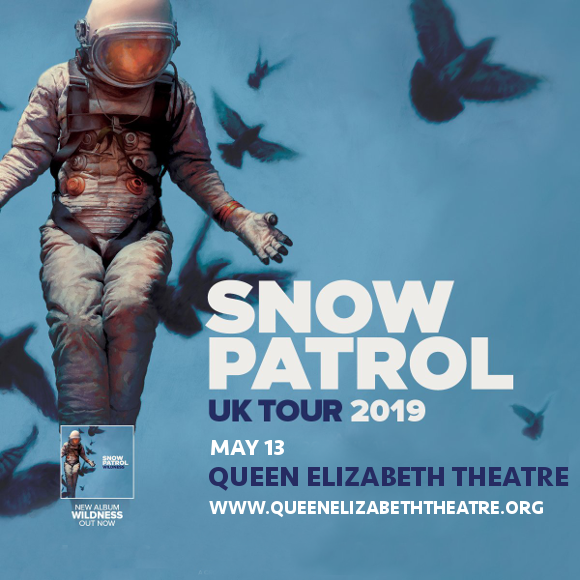 Get your Snow Patrol tickets today! !